This weekend I made some beanbags for Wyatt and Augie. 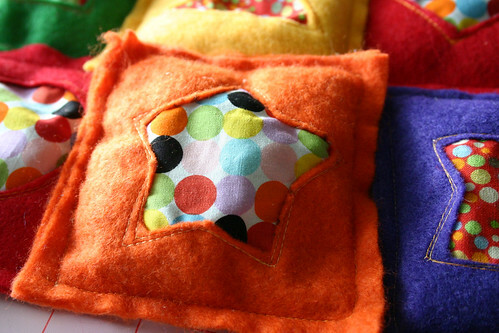 I took the design for the beanbags from WhiMSy Love and copied her design pretty much exactly. Pretty freaking cute, aren’t they? So what are we going to do with these beanbags? Well, Augie has been enjoying chewing them and drooling on them (closely supervised of course — they do have teeny little choke-able beans in them). 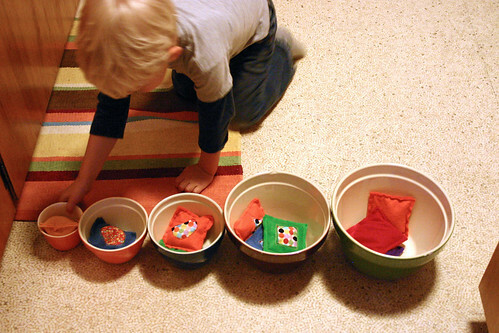 Wyatt also made up his own game. 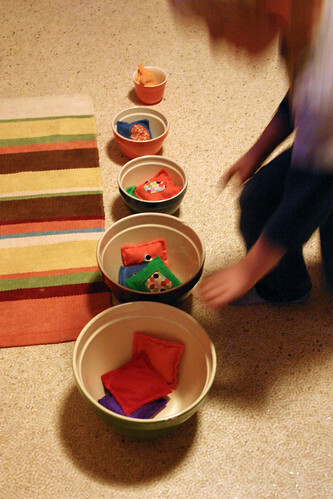 He rearranged the bowls in a horizontal line and tossed the beanbags into the bowls of matching colors. 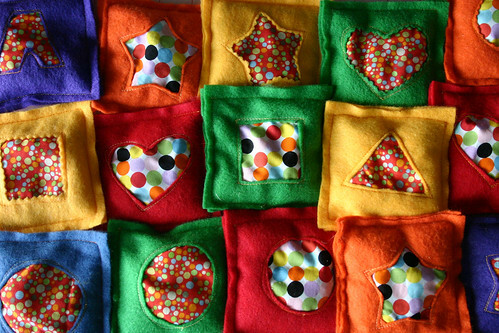 lots of sorting games — put the bags in piles according to what shapes are on them, put them in piles by color, put them in piles by the size of the dots in the fabric applique, etc. Any other ideas? What do you do with beanbags?